Named “Golf Course of the Year” in 2001 by the Myrtle Beach Golf Course Owners Association, Blackmoor offers groomed TifEagle greens in a scenic former-plantation setting. Caledonia Golf & Fish Club has been recognized for its design and incredible beauty. From the entrance lined with centuries old live oaks to its antebellum-styled clubhouse, Caledonia is a world-class experience. 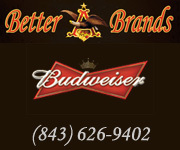 At the Founders Club golfers come away remembering not only their best shot, but every shot. 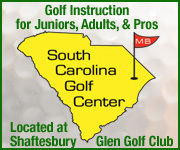 Play golf in the Pawleys Island area with 18 uniquely designed golf holes. Built on the site of the True Blue and Midway Plantations, Heritage Club reflects a history of gracious living. A magnificent avenue of oaks leads to the Southern Colonial clubhouse. A course that places a premium on creative shot-making and rewards the daring. 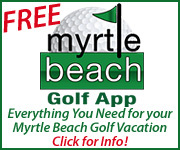 Recipient of the 2004 Golf Course of the Year award by the Myrtle Beach Area Golf Course Owners Association. This Willard Byrd design has lots of water and wildlife and the back nine is set among giant oaks and flowing creeks. It’s been said that this course is as enjoyable to look at as it is to play. The yardage for this Willard Byrd par 72 course ranges from a fun 4,838 yards to 6,857 yards – enough to test even the best golfer’s skills. Rated 4 Stars by Golf Digest. The mature tree-lined fairways wind amid giant oaks and shimmering lakes of a former Carolina rice plantation, creating an extraordinarily challenging “country club” experience. A classic Lowcountry design that you can play many times and never have the same shot twice. 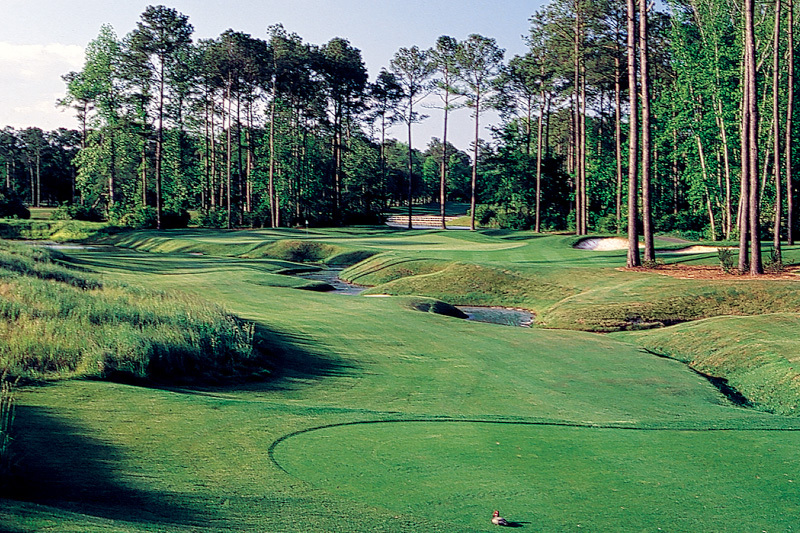 This Nicklaus Signature course is ranked among the finest courses in the Carolinas. Pete and P.B. Dye have crafted a links-style masterpiece reminiscent of Dye designs. Over 1.3 million cubic yards of earth were moved in sculpting the course. 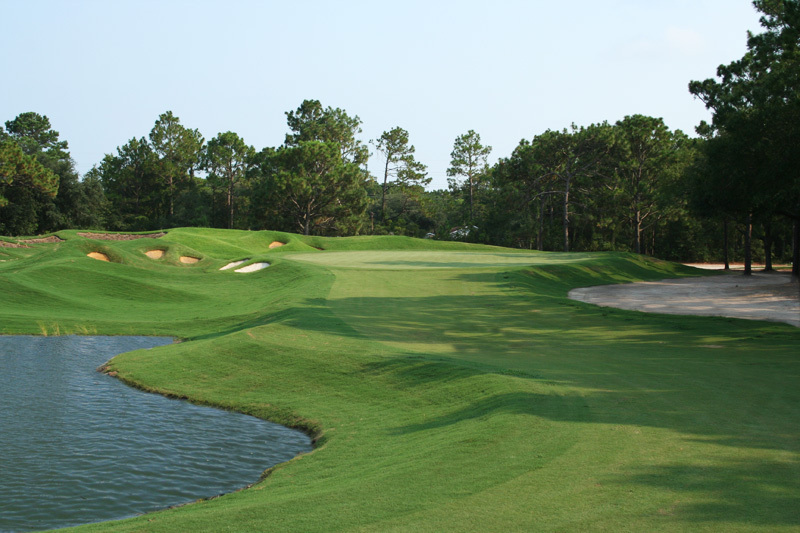 This Tom Jackson signature course is one of the premier “plantation” courses and a favorite among returning golfers. Long hitters are OK off the tee, but approach shots need to be true. A unique experience that affords you the privilege of testing your game on the same course where some of golf’s greatest figures have played. “5 Stars” by Golf Digest. Test your power on large landing areas that allow for big swings off the tee and your accuracy against well-guarded greens that require precise shot making. The rolling terrain and native vegetation of this once thriving indigo and rice plantation makes for one of the most spectacular settings in golf. 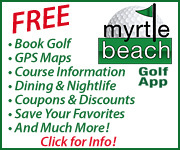 12 top-ranked, award-winning golf courses just minutes south of Myrtle Beach between Murrells Inlet and Georgetown. Freshwater lakes and scenic wetlands provide a tranquil background to enhance your golf experience while strategically-placed bunkers awaken you to the course’s challenge. Carved from the site of two Carolina plantations, Willbrook offers a tranquil blend of golf and wildlife that has been featured on Nature Scene TV.